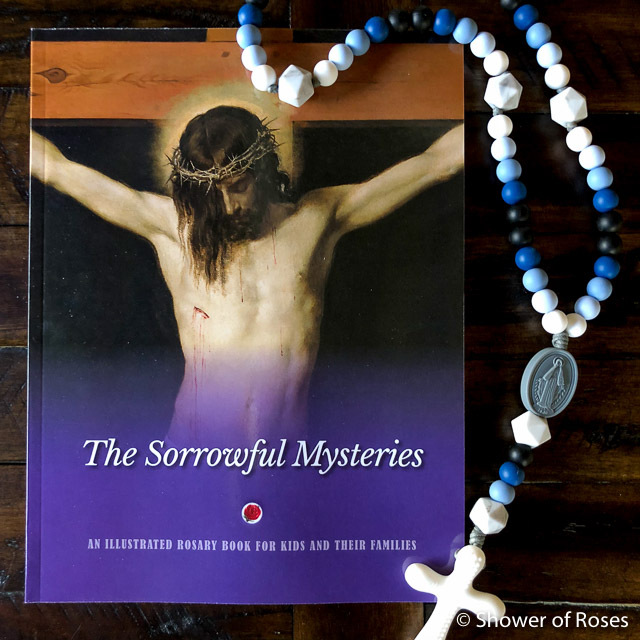 With sacred art images for every single prayer of the rosary, these books are an excellent aid to help avoid distraction and reflect on the various mysteries of the Rosary. 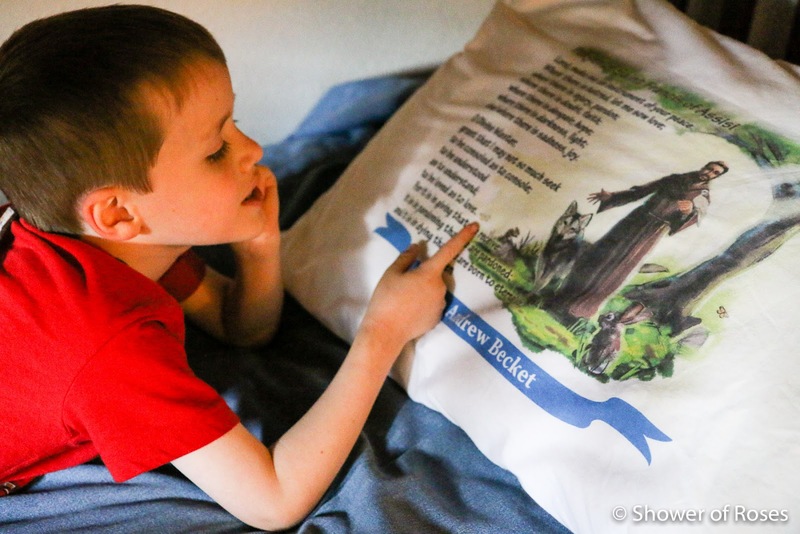 It would make a lovely and inspiring gift for the whole family! 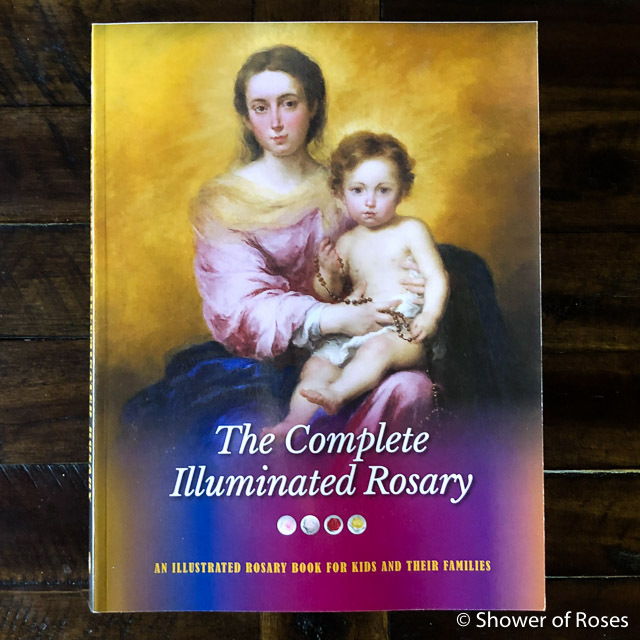 Be sure to scroll to the bottom of this post to enter for a chance to win a copy of The Complete Illuminated Rosary! 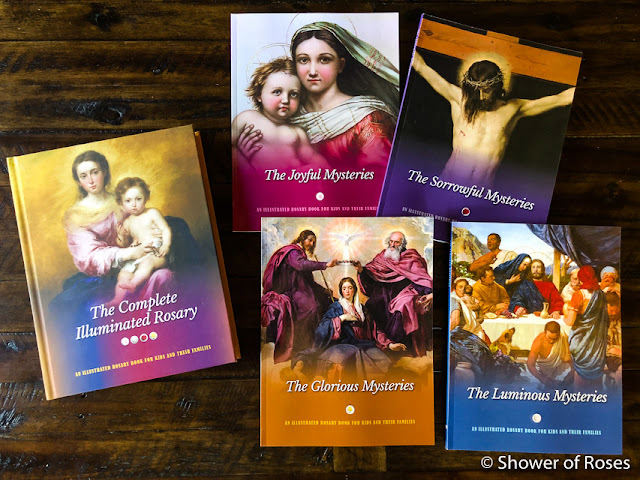 Available in three editions including The Complete Illuminated Rosary (hardcover) and Individual softcovers (pictured above - The Joyful Mysteries, The Sorrowful Mysteries, The Glorious Mysteries, and The Luminous Mysteries), as well as the The Complete Illuminated Rosary (softcover) which is pictured below in giveaway. The complete editions include all four mysteries in one 370-page book. 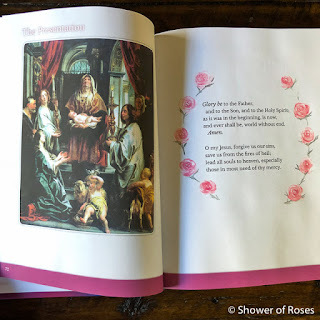 You can purchase them directly from the publisher and save 25% now through November 7, 2018 with coupon code roses25. 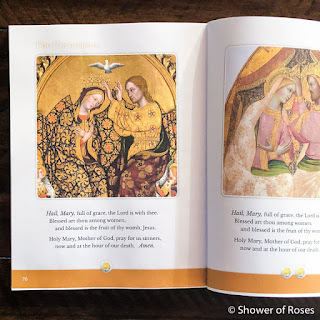 I really love the individual softcover editions of these new books and look forward to flipping through the pages with my little ones during one of our upcoming daily rosaries. 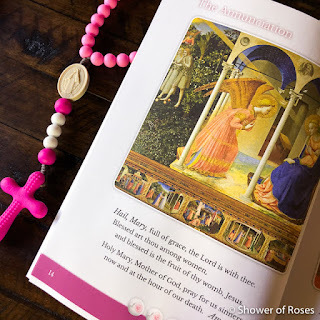 For our family rosary each day we have always meditated on the original 15 Mysteries given by the Blessed Mother to St. Dominic: Joyful mysteries on Mondays, Thursdays, Sundays of Advent, Christmastide & Time After Epiphany; the Sorrowful mysteries on Tuesdays, Fridays, and all the days of Septuagesima & Lent; and the Glorious mysteries on Wednesdays, Saturdays, and Sundays of Eastertide & Time After Pentecost. 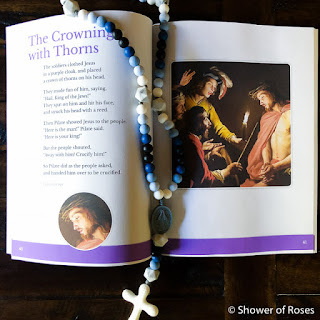 Also pictured in this post are a couple of our little Grace's rosaries made by Chews Life! You can find them on their website as well as a variety available with free prime shipping on Amazon as well. 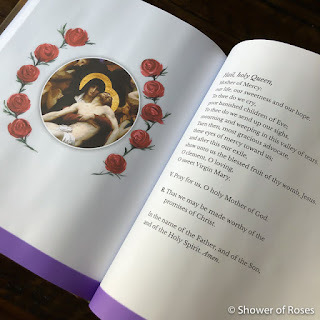 In addition to the gorgeous sacred art, the illuminated rosary books also include a a Scripture-based, kid-friendly meditation to introduce each mystery, the full text of every prayer, and a string of rose "beads" at the bottom of each page helps kids keep track of the Aves (Hail Mary prayers). 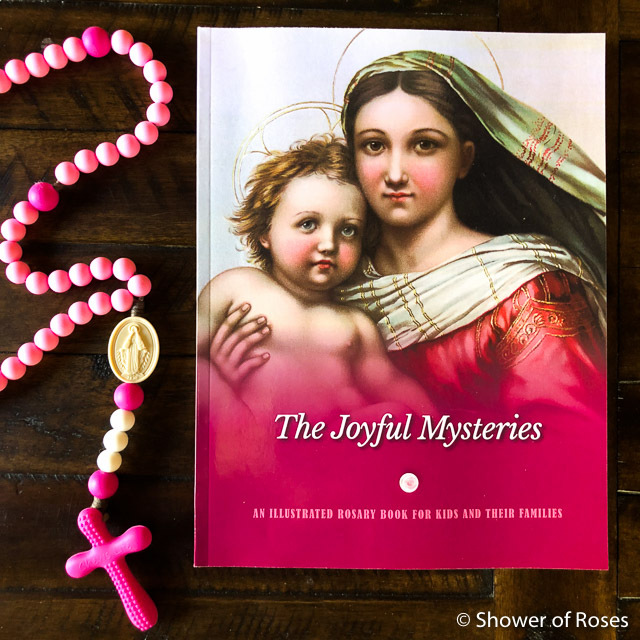 Saint John Paul II called the Rosary his “favorite prayer” after the Mass and the Liturgy of the Hours. 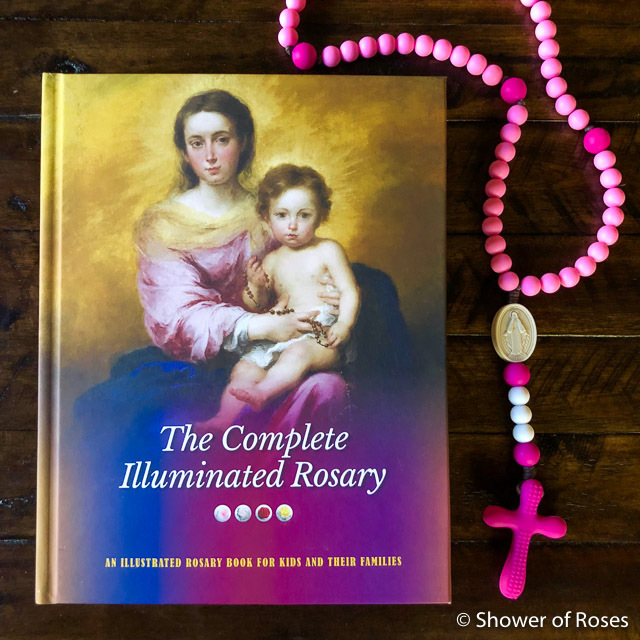 During this month dedicated to the Most Holy Rosary make an extra effort each evening to pray the rosary as a family if you don't already! 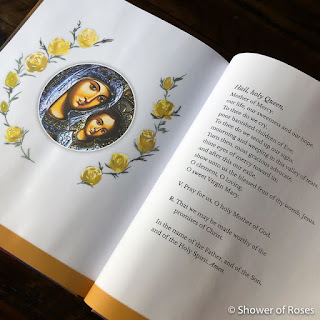 "How beautiful is the family that recites the Rosary every evening." 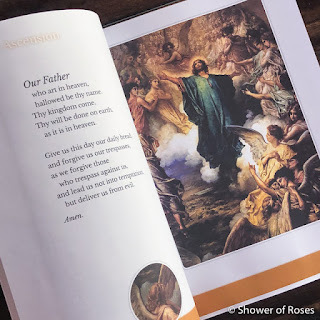 You can find additional books for the month of October here. 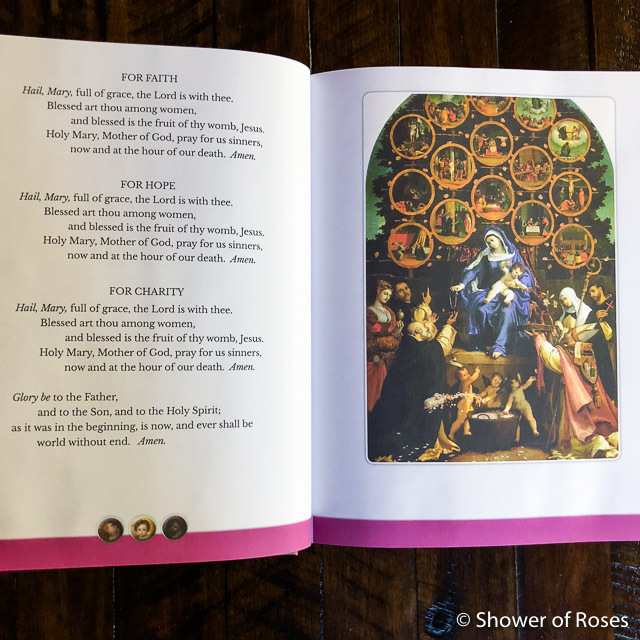 The Complete Illuminated Rosary helps kids say the rosary with their families because the full text of every prayer is printed on each page, paired with beautiful sacred art illustrating the mystery being contemplated nearly 90 works of classic and contemporary art in all. 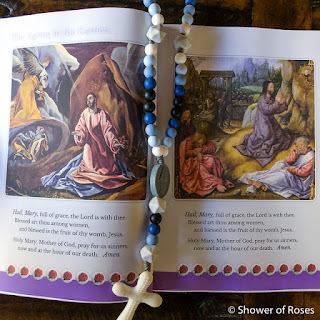 Think of it as a “printed rosary,” where each page stands for one bead except the “beads” are works of sacred art! 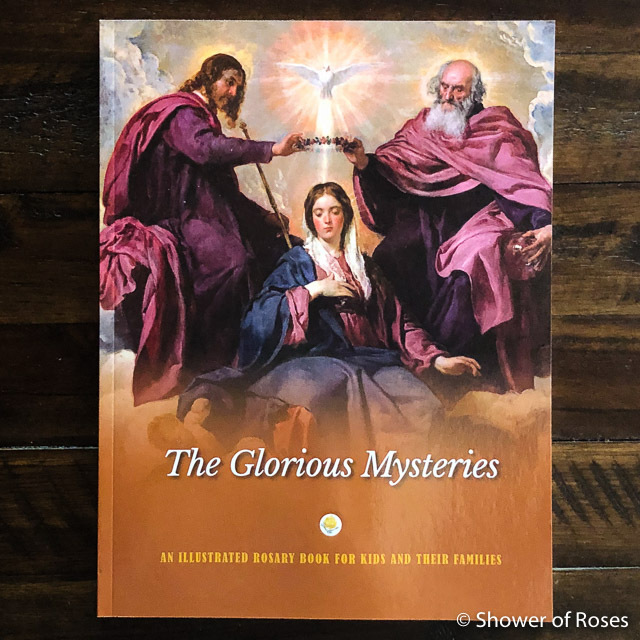 Each decade features a Scripture-based introduction to the mystery being prayed. 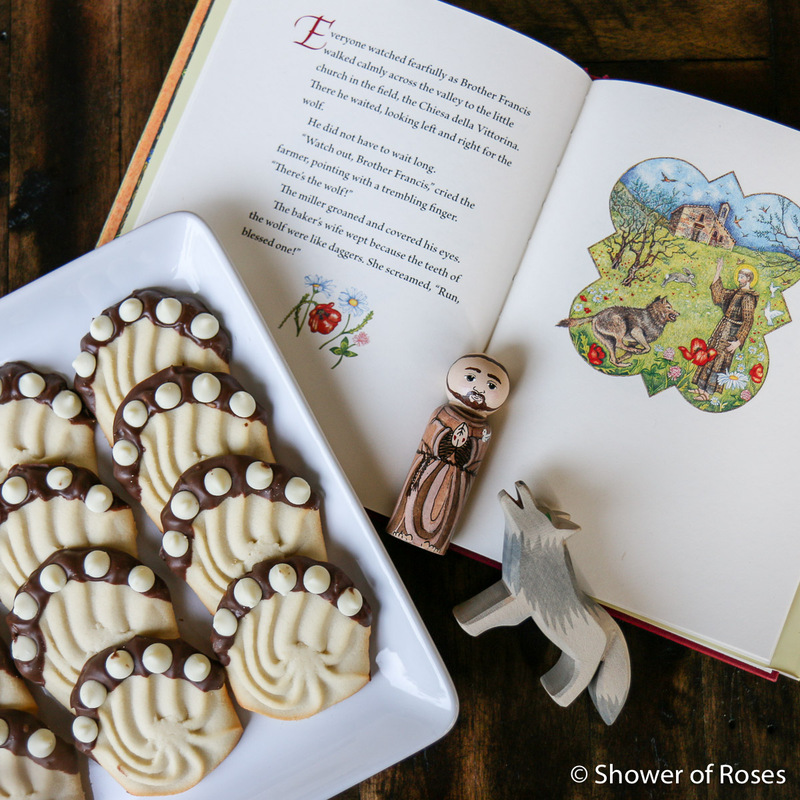 Enter the giveaway in the Rafflecopter Box below. 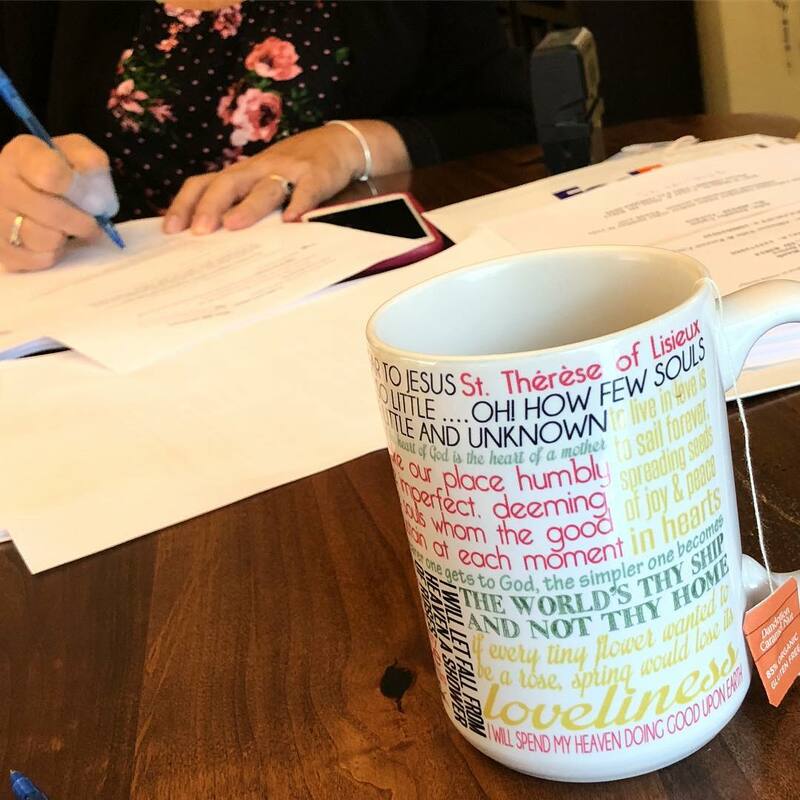 Winner will be announced here in this post on Saturday, October 27, 2018.